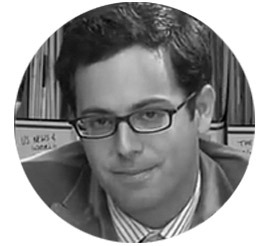 Elliott Kalan is an American comedian and the head writer for The Daily Show with Jon Stewart. Kalan grew up in New Jersey and attended Tisch School of the Arts, where he majored in screenwriting. Kalan lives in New York City, where he began at The Daily Show as a production assistant in 2003 before moving up to producer, staff writer, and ultimately head writer. Kalan was co-founder of comedy group The Hypocrites. He also created and hosted a live talk/variety stage show, “The Primetime Kalan”. Along with comedians Dan McCoy and Stuart Wellington, Kalan currently co-hosts “The Flop House” podcast, on which the hosts discuss and mock major movies that received poor reviews from critics. Famously, Kalan wrote a weekly column for the morning daily, Metro. Following a column he wrote in the August 3, 2007 issue of the Metro, Kalan was fired for writing a self-deprecating joke about the increasing obsolescence of the newspaper industry. This was followed by a brief article in New York Magazine about the incident, which was heavily publicized on internet blogs including Media Bistro, Huffington Post, and Gawker. He was later re-hired. In 2009, he left Metro of his own accord. Kalan also performs as a stand-up comic, and in 2013 performed several USO shows in Afghanistan along with John Oliver, Rory Albanese, and Adam Lowitt.